The market capitalization formula is fundamentally flawed. 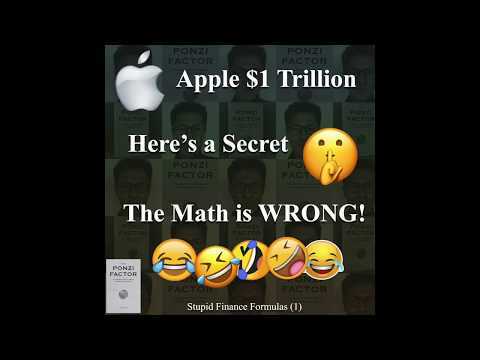 This video clearly shows how an additional $2 of cash can increased everyone's portfolio by $10 billion. Yes, you heard me correctly. $2 can increase the "value" of a company by $10 billion. 😂😂😂... Except I'm not joking. I did a double take and was scared by this when I realized it. This video was originally posted on 7/30/18. If Tesla falls, the rest of the market will start crashing with it. I believe we are in a similar dot.com situation as it was in the late 1990s. According to a study published by the University of Florida, 76% of companies that went public last year were not profitable. I think the market is in an illogical bubble situation and a catalyst, like Tesla collapsing can trigger a market wide crash.